Kimberly-Clark brand is working with WaterAid to educate Londoners about poverty around the world. 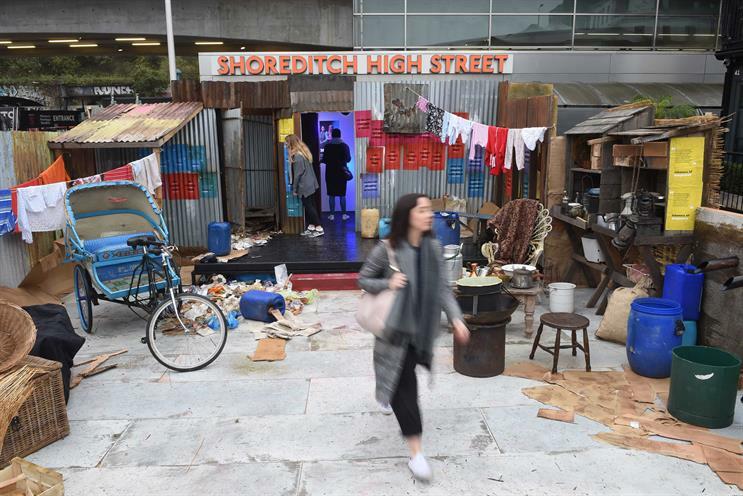 Andrex created a pop-up toilet in Shoreditch to highlight the poor sanitary conditions faced by 2.3 billion people around the world. The partnership with WaterAid is designed to show Londoners the harsh conditions some people are forced to live with and provide first-hand accounts from those suffering from the effects. The pop-up at Boxpark was created by MHP and produced by Dresd. The campaign is supported by a film created by J Walter Thompson London that follows the story of a girl in Bangladesh, where Andrex and WaterAid have funded new public toilets. The work is running across TV, video-on-demand, online and social. Media planning and buying was handled by Mindshare. Ramzy Elftesi, senior brand manager at Andrex, said: "We’re committed to improving the public health and dignity of those living in urban communities in Bangladesh, and while our hope this year is that the Boxpark installation will encourage people to talk about the sanitation crisis, our TV ad will bring to life the positive impact that Andrex and WaterAid are having on the lives of girls like Sanjida and their families."